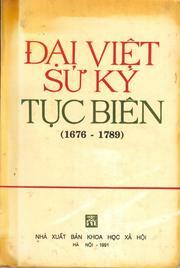 1 edition of Đại Việt sử ký tục biên, 1676-1789 found in the catalog. Add another edition? Are you sure you want to remove Đại Việt sử ký tục biên, 1676-1789 from your list? 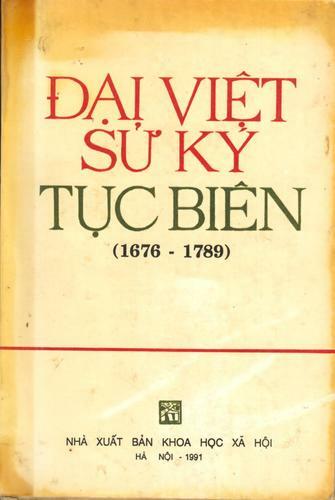 Published 1991 by Khoa học xã hội in Hà Nội . February 26, 2010 Edited by ImportBot Found a matching record from Library of Congress . May 29, 2009 Edited by ::ffff:118.71.117.60 Edited without comment.